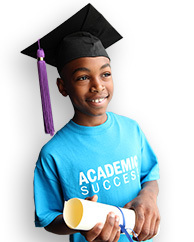 The Boys & Girls Club allows youth to explore every realm of possibility. Arianna S., our 2016 – 2017 National Military Youth of the Year, had the opportunity to speak at a volunteer event with art & crafts retailer and Boys & Girls Clubs of America partner Michael’s. Read on to hear about Arianna’s personal experience with art and how she expresses herself creatively! Do you remember your first dream job? The excitement you felt, the lack of barriers and the belief that you could achieve that job? Well for me, that dream job was to be an artist. Yet as I got older, I realized painting, coloring in the lines, or even drawing a simple line was not my forte. In discovering what seemed like a lack of basic artistic ability at a very young age, I continued with the mindset that being an artist was always too far out of reach. My constant inner voice kept telling me that I was born purely lacking creativity. Now looking back, this was the farthest thing from the truth. I use my words as my paint brushes. My speeches are hopefully these beautiful paintings that linger in people's minds when I'm speaking. I am an artist, just in a different way. It was through the Boys & Girls Club and the Youth of the Year program that I found this inner artist who was hidden for years. I needed to be pushed outside of these limits that I had trapped myself in. 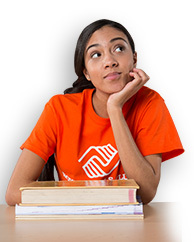 The Boys & Girls Club allows youth to explore every realm of possibility. It pushes youth out of a mold that might have been limiting them in order to explore who they really are. Any interest a child might have, or any spark of creativity can be released at the Boys & Girls Club – where everyone’s inner artist can be revealed. Limits are nonexistent at the Boys & Girls Club. 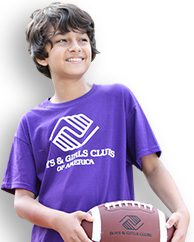 The Club helps create the idea that there are no bounds to a kid’s imagination and creativity. There can never be enough times where I say this, but again, thank you Boys & Girls Clubs of America for nurturing and gifting me with opportunities to become the artist I always dreamt of.